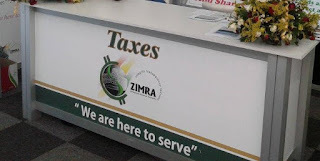 A LOCAL clearing company, Morris and Charts Enterprises (Pvt) Ltd, has taken the Zimbabwe Revenue Authority (Zimra) to court after the tax agency allegedly suspended the firm’s account on allegations of improper conduct. According to the court papers, the clearing agent, which is based in Mutare and conducts its business at Forbes Border Post, is alleged to have cleared petrol which was in transit to Zambia sometime in July 2017, but the commodity was never acquitted as having left the country. This led to Zimra officials suspending the firm. The agent appealed against the suspension, arguing it had not been accorded the chance to prove its case, but the tax body stood its ground, prompting the court action. Through its managing director, Morrison Rundogo, Morris and Charts Enterprises filed a court application seeking review of the matter, arguing Zimra officials had failed to properly handle the matter despite proof the said fuel was cleared at Chirundu Border Post. “The current application for review is being made on the grounds that the first and second respondents (Zimra commissioner-general Faith Mazanhi and Zimra) violated section 3(1) (a) and 3(2) of the Administrative Justice Act, in that they failed to act lawfully, reasonably and in a fair manner,” he said. Rundogo said the incident leading to the current litigation occurred on August 7, 2017 when Zimra’s shift manager at Forbes Border Post unilaterally and without notice, summarily suspended his firm’s agency account. “The allegations contained in the letter were to the effect that the applicant had processed a bill of entry, S13510, for petrol in transit and that the applicant had contravened the law as the fuel was consumed in Zimbabwe. In the same letter, the applicant’s account was again suspended with immediate effect,” Rundogo said. He added that his firm then appealed Zimra’s decision and also highlighted that the tax body had cited a non-existent section of the Customs and Excise Act, and also that it was entitled to a notice of the proposed action as well as reasonable opportunity to respond and make representations. “On February 3, 2018, the Commissioner Customs and Excise then wrote to the applicant dismissing our appeal…the Commissioner-General (then) in his decision admitted that validation and acquittals were properly done, but, however, insist that the goods that were cleared did not exit Zimbabwe. The first and second respondents alleged the goods did not exit Zimbabwean borders without the proof to back their allegations,” he said.